Treadfit is an innovative fitness facility that provides customized workouts from certified trainers. Each class will improve your overall fitness level using interval training on the treadmill, coupled with full-body strength training. At Treadfit, no class is ever the same! A credit card processing fee will be applied at checkout. Jenny is an ACE certified group instructor, busy mom of five, and owner of Treadfit. After training and running in five marathons and several half marathons, she began experimenting with shorter bursts of high intensity running mixed with strength training. She saw dramatic improvements in her fitness level, and decided to leave distance running behind. 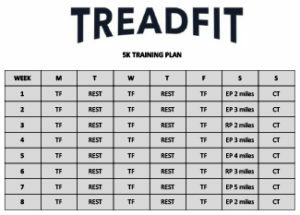 Jenny brings her love of running and fitness to the unique format of Treadfit’s workouts. Caitlin, graduated with a degree in Exercise Science and a minor in coaching and psychology. Being active in sports throughout her high school and college years, Caitlin brings her love of fitness to each class and encourages her clients to get stronger every day. Caitlin can also be found teaching Barre, Kickboxing, Tabata, and Bootcamp at Barre It All in Mount Greenwood. 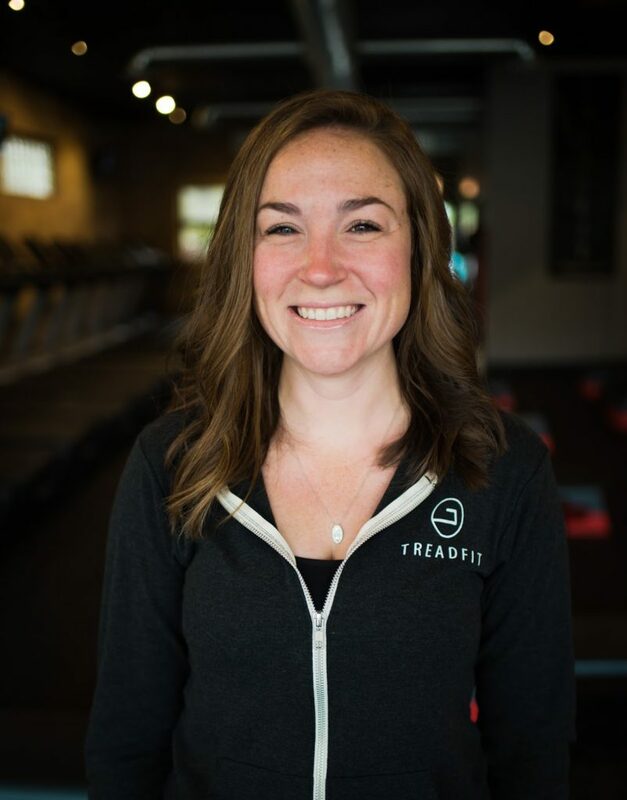 Caitlin is excited to join the Treadfit Team! Colette is a certified ACE personal trainer with over seven years experience as a personal trainer in the Beverly area. Colette specializes in the body’s core muscles that are exercised in everyday life. She is a strong believer in helping her clients achieve their maximum fitness goals through a high energy approach to their exercise routine. Colette is an active mother of five and an amazing role model! Kellianne is a certified ACE group instructor and brings her passion for fitness into each and everyone of her classes. She has been active all of her life as a swimmer, runner, and triathlete however found her true passion in group fitness classes. Kellianne pushes clients to reach their maximum potential by providing a high-energy and motivational environment. 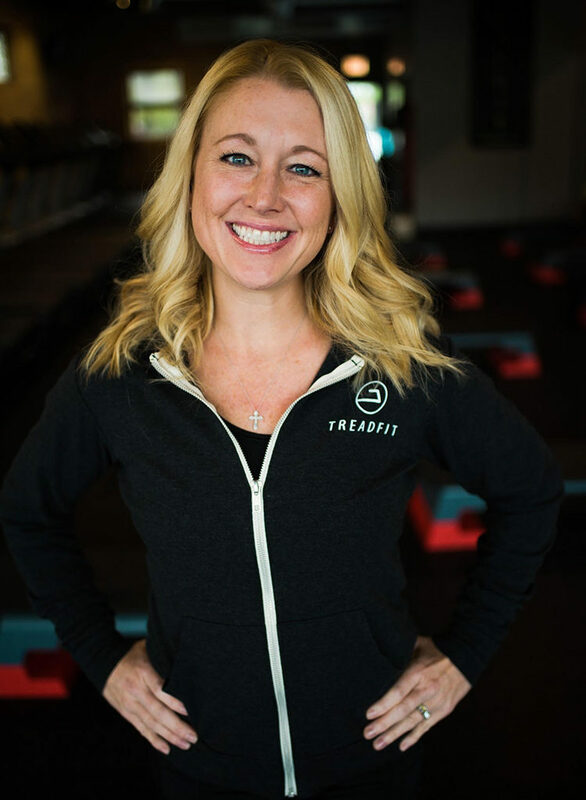 She is an active mom of two young boys and is thrilled to be part of the Treadfit team! 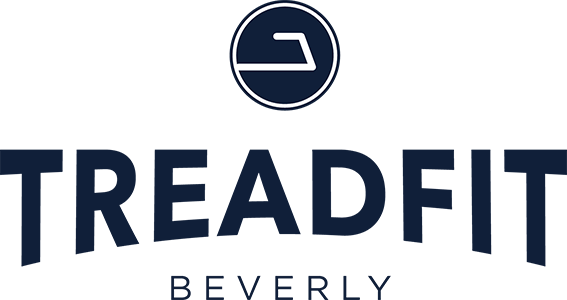 Cathy, an ACE certified personal trainer, has over twenty years of experience in the fitness industry. Cathy has taught everything from kickboxing to yoga at multiple gyms such as Women’s Workout World and L.A. Fitness. Cathy’s love of exercise and enthusiasm are demonstrated in each of her classes. Dawn is an experienced certified group instructor and a Treadfit regular. Dawn is a busy mother of two who incorporates fitness into her family's daily lives. She has been active in sports and fitness since her high school days, and brings her dedication to fitness and health to each of her classes. Dawn can also be found teaching spin at Pure Cycle in Evergreen Park. Sarah is a certified ACE group fitness instructor and busy mom of three. She has attended Treadfit since its open in 2015, completing over 100 classes. Sarah has been active in sports and cheerleading her entire life and has a strong passion for personal well being and running. Sarah loves helping people feel good about themselves by reaching their full potential both mentally and physically. Mary is a certified ACE group fitness instructor and a Treadfit regular who completed nearly 200 classes in 2017 and won top female during March Madness. Since running track in high school, she's completed two Chicago marathons as well as many local races. As an exercise enthusiast, Mary found her passion in learning about fitness and helping educate others. She is thrilled to join the Treadfit Team! Cara, a certified instructor, has always worked to incorporate running into her life. She has been running for over 25 years, and received an athletic scholarship to Loyola University of Chicago for Cross Country and Track. Since college, Cara has run 5 marathons, including the Boston Marathon. She runs many 5K and 10K races to maintain her fitness levels. Her love of strength training began with attending Treadfit. Cara has been able to eliminate nagging overuse injuries through incorporating strength training into her weekly running. She also loves getting in her speedwork in Treadfit's group setting. Mary Kate is a certified ACE group fitness instructor who is inspired by working out within a great community. As a mom of three wonderful children and a business owner, she believes making time for fitness should always be a priority for our mental and physical health. After several years of distance running, Mary Kate settled into regular workouts at Treadfit and has attended over 300 classes. Treadfit has encouraged her to become stronger as a runner and person. She is excited to share her knowledge and experience with others to help them achieve their goals while having fun and meeting great people!